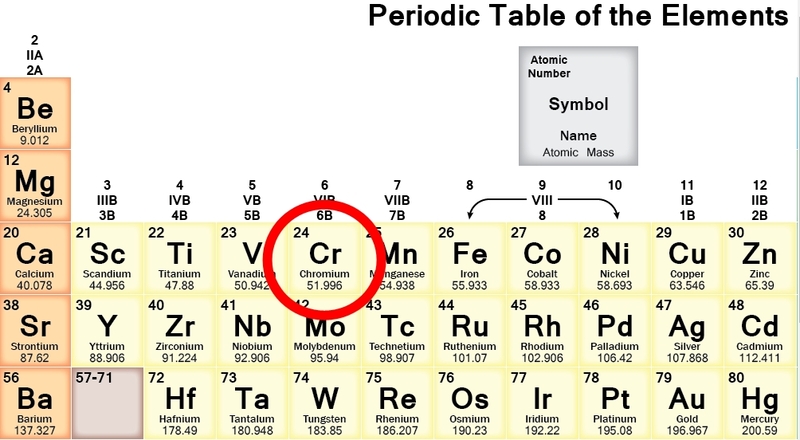 Chromium is one of the elements; it is atomic number 24 on the periodic table of elements. Naturally, chromium 6 has started to attract the attention of environmental protection agencies and health and safety regulatory agencies around the world. Governmental regulations are still much looser than they should be, but things seem to be getting better. So— what does this have to do with petanque boules? Well, nothing and everything. On the one hand, the chrome plating on your leisure boules is perfectly harmless. No worries there. On the other hand, the process that is used in chrome plating (of boules and other kinds of chrome-plated objects) uses hexavalent chromic acid— chromium 6. Bad news there. Because of the health and environmental issues associated with chromium 6, at least some manufacturers are moving away from chrome-plated products. One of them is Obut. I don’t know if you’ve noticed, but Obut is no longer making its line of “Tatou” chrome-plated leisure boules. Starting about a year ago, Obut’s new line of “Obut Loisir Inox” leisure boules are stainless steel. Conçues sans chrome, contrairement aux Tatou, ces boules de pétanque Loisir inox sont écologiques. And in its lines of competition boules you now have only two choices: stainless steel or carbon steel. I learned about this recently when I noticed that Petanque America seemed no longer to be selling La Franc boules. In response to my email question, Phillipe Boets told me that Petanque America had indeed stopped selling La Franc boules about a year ago. Apparently La Franc has been getting orders for 30/40 thousand boules at a time from French sporting goods stores. (One wonders if news of exploding leisure boules might have something to do with that.) In any event, La Franc seems to be slacking off on its service to smaller vendors— Phillipe reports that its deliveries had become unpredictable and unreliable. So now if you go to the Petanque America web site, you won’t see La Franc competition boules for sale. You will see only Obut competition boules. Phillipe sees the new Obut stainless steel leisure boules as filling the niche that La Franc boules once filled. With the Euro taking a dive, the price difference between La Franc competition boules [which are made in Thailand] and French competition boules has become smaller. Obut also came out with a new line of leisure boules in stainless steel, about 73mm, 660g, in 8 different designs. At $64, they’re the perfect “middle-of-the-road” boule, between the cheap chrome Chinese boules and the range of competition boules.